For the Sonoma County Fair's 2016 movie theme, the Master Gardeners were inspired by the spaghetti westerns of the past. 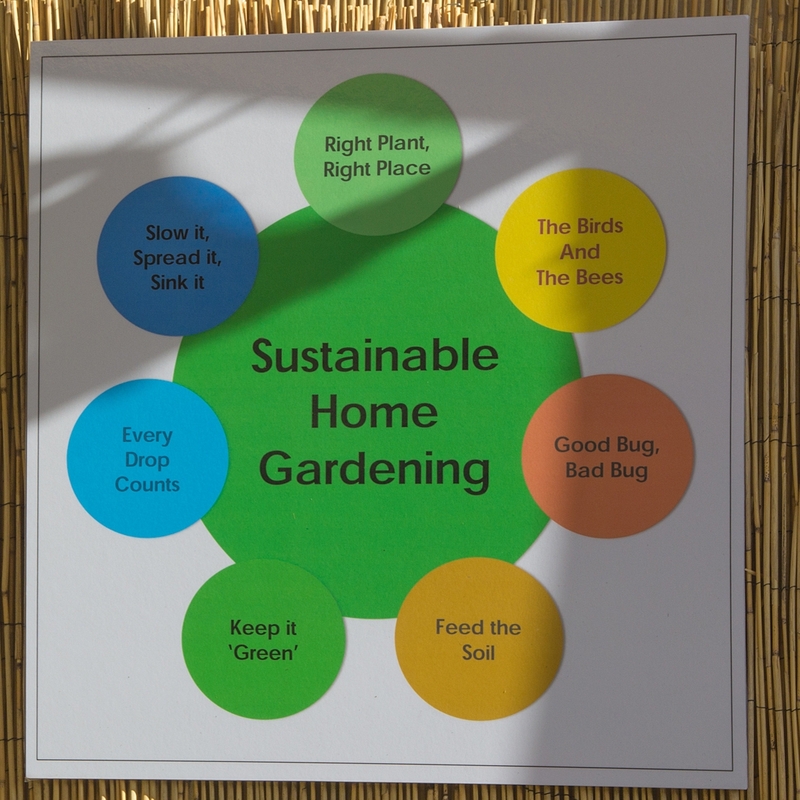 Our interpretation of “THE GOOD, THE BAD AND THE UGLY BEAUTIFUL” shows examples of sustainable practices for home gardeners. The "GOOD" home garden grows local food—providing fresh food for your family and for birds, bees, butterflies and other pollinating insects. Composting green waste provides organic compost to feed the soil and our plants. The "BAD" home garden uses chemicals to kill insects and inorganic fertilizers on "unused high water-use" turf. Not all bugs are bad—we rely on pollinators for food crops. Sonoma county residents will need to become “water smart” to maintain our limited water supply for future generations. Invasive plants like ivy and Vinca major can escape our home gardens and grow wild along our streams and overwhelm native plants. Other invasive plants like feather grass, common fountain grass and pampas grass spread their seeds by the wind invading other gardens and competing with native grasses. 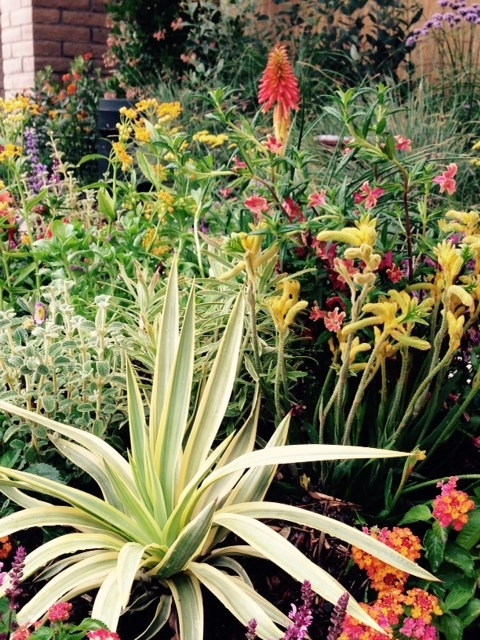 Drought tolerant gardens don't have to be “UGLY,” with so many low water plant options, our home gardens can be “BEAUTIFUL.” Our garden display shows many beautiful low water plant choices to add interest and color for a serene low maintenance garden. Instead of turf lawn, use a lawn alternative like Kurapia (Lippia nodiflora). Select plants for their mature size and best location in the garden. Other sustainable practices include adding a rain garden to slow, spread and sink water, watering low water plants with drip irrigation instead of spray irrigation, feeding the soil with compost, providing flowers, seeds and water for pollinators and birds, understanding how beneficial insects help our plants survive and using good horticultural practices to maintain our gardens. The Master Gardeners will be at the Sonoma County Fair every day from 11:00 a.m. to 5:00 p.m. to answer your questions about sustainable gardening practices. 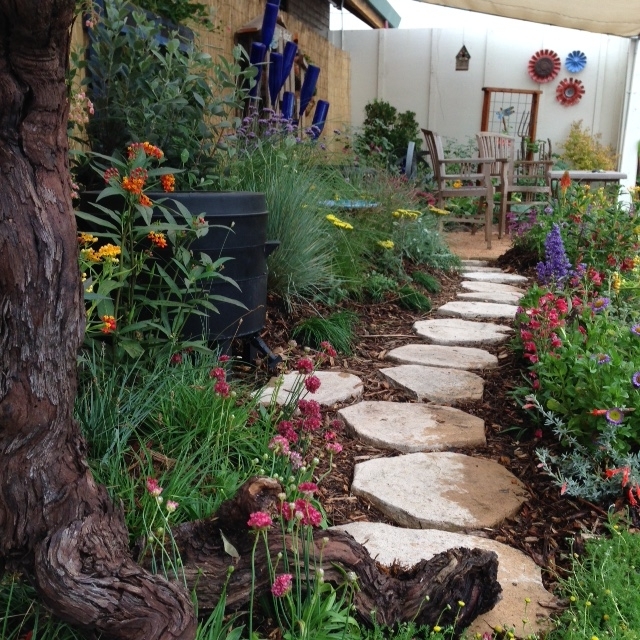 We hope that you stop by to see THE GOOD, BAD AND BEAUTIFUL of sustainability in the garden. See you at the fair! 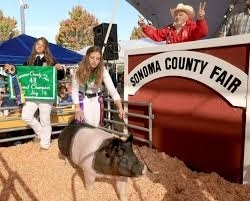 See 4-Hers at the Sonoma County Fair! Fair time is also a great time to see 4-Hers in action! 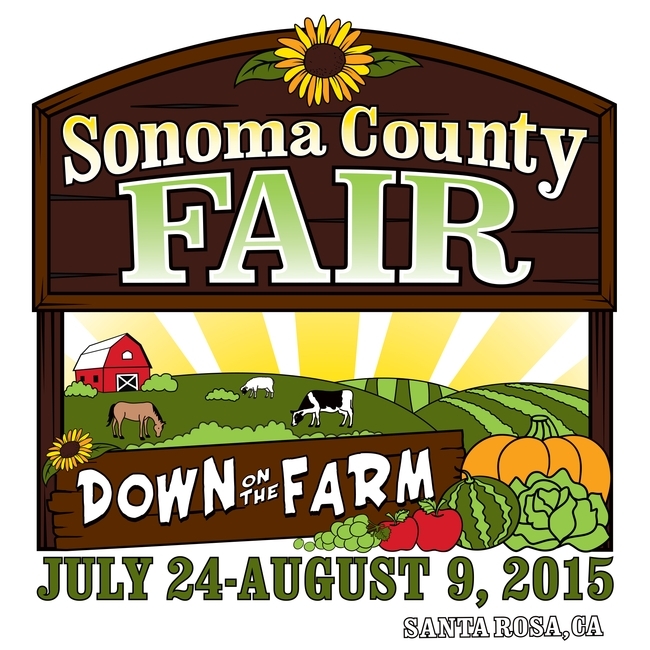 Sonoma County Fair runs July 24 thru August 9 (closed on Mondays). Visit the Livestock area and watch the kids show chickens, rabbits, goats, sheep, swine, dairy cattle (shown here) and beef cattle. Showing livestock at the fair requires months of preparation for the market animals (sold at the auction) and years of work for the breeding projects (ongoing dairy and livestock projects). Market on the schedule). The Large Animal Round Robin class on Wednesday, August 5 starting at 11am is where you can see the best junior livestock show persons take their turn at showing all of the different large species: goats, sheep, swine, beef cattle, dairy cattle and horses. The winner is crowned top junior livestock show person of the fair. Small Animal Round Robin is Sunday, August 2 at 11am, where best junior show persons in rabbits, cavies, poultry, pygmy goats and dogs compete. 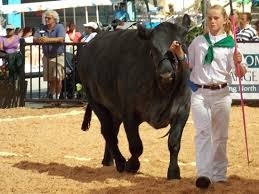 One way to support 4-Hers is to contribute to the purchase price of or to purchase a market animal. 4-Hers use the auction proceeds to pay back loans taken out to fund the project (bank of mom and dad or actual loan from Sonoma County Grange Credit Union). Any remaining funds are used to purchase next year's market animals, to support their breeding project and/or saved for college. Visit Master Gardeners at the Sonoma County Fair! The UC Cooperative Extension Sonoma County Master Gardeners have just finished the 17th installation of their 2015 Sonoma County Fair demonstration garden. 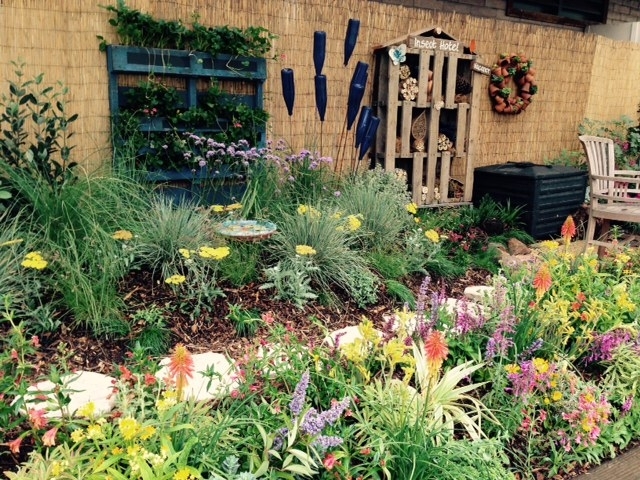 This year's demo garden features sustainable landscape principles including lawn alternative plant materials, permeable hardscape, low water use plants, composting, sheet mulching, food gardening in small spaces, beneficial insects and MORE! Come by our booth just outside the Hall of Flowers to see how beautiful a sustainable garden can be! The garden is located in the outdoor patio at Hall of Flowers. Master Gardener docents will be available on-site from 11 a.m. until 6 p.m. Sonoma County Fair runs July 24 through August 9, closed Mondays. Here are pictures of this year's demo garden.